Nice hotel. Even though there was not an indoor pool, the staff informed us that we could swim at the Marriott across the street since both were owned by the same company. Very nice!! Would like an indoor pool. Our motel room came with a complete kitchen including a dishwasher. The outdoor pool was full so we were encouraged to go to a sister Marriot with an indoor pool and hot tub. The neighborhood was quiet, the staff were efficient and friendly, and the room was clean and comfortable. Of course the price was the best thing about our stay...However we also appreciated the cleanliness and the quiet neighborhood. The hotel was clean and comfortable. Staff very friendly. No frills but certainly adequate. The location is out-there but near the interstate so getting to and from wasn't bad. Not a lot of dining near by other than fast-food. I would stay here again for the price. Convenient parking, easy access to interstate. Not many restaurants near the hotel. 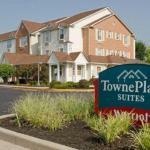 The 95-room TownePlace Suites Indianapolis Park 100 is located on the Northwest side of Indianapolis and caters to the extended-stay business and leisure traveler. The pet-friendly property has studios, and one and two bedroom suites all with fully equipped kitchens. The three-story, non-smoking hotel has easy access to I-465 and is a 15-minute drive from downtown Indianapolis. Items included with the room rate are high-speed Internet access, local telephone calls, a morning newspaper, parking and coffee available in the lobby 24/7. There are two golf courses a mile from the hotel. Area landmarks and attractions include Eagle Creek Park, Indianapolis Motor Speedway, the Childrens Museum, Indianapolis Zoo and the State Fairgrounds. All the suites have a kitchen with a refrigerator, dishwasher, conventional and microwave oven, coffeemaker and cutlery and crockery. Other amenities include a work desk with high-speed Internet access, cable television with movie channels, pay-per-view movies, pullout sofa bed, two-line telephone with voicemail, hairdryer, alarm clock and an iron and ironing board. Video games and players are available for rent. This hotel has an outdoor heated swimming pool and exercise room. There are two fitness centers and a jogging trail a short drive from the property. There are no meals served at the hotel but several restaurants nearby including a Macaroni Grill, Longhorn Steakhouse and Steak n Shake. The 24-hour front desk has safe deposit boxes and information on area events and attractions. Other amenities include a business center, coin-operated laundry, newsstand, vending machines and a picnic area with a barbecue grill. 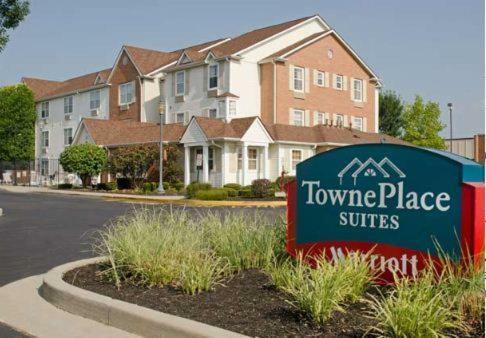 Frequent visitors to Indianapolis who have stayed at other extended-stay properties in the area, say they return to the TownePlace suites because of the reasonable rates and helpful and friendly staff. The 24-hour business center is a great help to the executive who says he can work while others sleep. Do not expect luxury, do expect affordable prices and modern, comfortable accommodation. Pets: Yes, pets are allowed. There is a $50 charge.